Saith is an inherently satisfying prog act from South Whales. 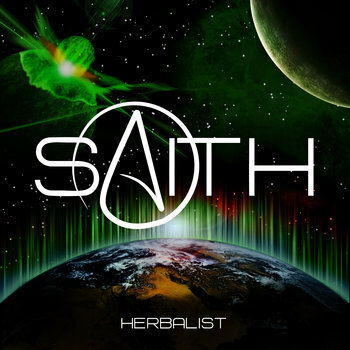 This one man project is not as isolated as many others might be, in fact, every song off of Saith's new record, Herbalist, features a different guest musician! It makes for an EP that is really interesting to listen to and proves that this guy has the creative capacity to work with just about anybody. The music he writes is multilayered and incredibly intricate. Digging into it takes many a spin and only goes to show how simply talented this guy is. He has it all, an ear for melody, riffs, and even catchy rhythms. Saith has what it takes to capture the imagination, yet this bands music won't alienate non-prog fans. It's constructed such that any lover of music can find something to enjoy, be it in the soaring cleans or tastefully composed and arranged guitar parts. Never wanky and always interesting, Saith seems to be a part of a new brand of prog, prog that doesn't seek to show off, but only to please, and to show the listener a way forward in this dark and twisted world of ours.